Introducing a lullaby book like you've never seen! 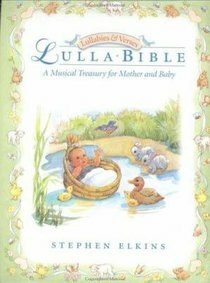 Creating a whole new line of timeless lullabies, special stories and verses from the Bible are expanded into lovely and sweet poems. - Publisher More than 50 lullabies from the Bible are told in poetic language to read or sing to children. More than 50 lullabies from the Bible are told in poetic language to read or sing to children.